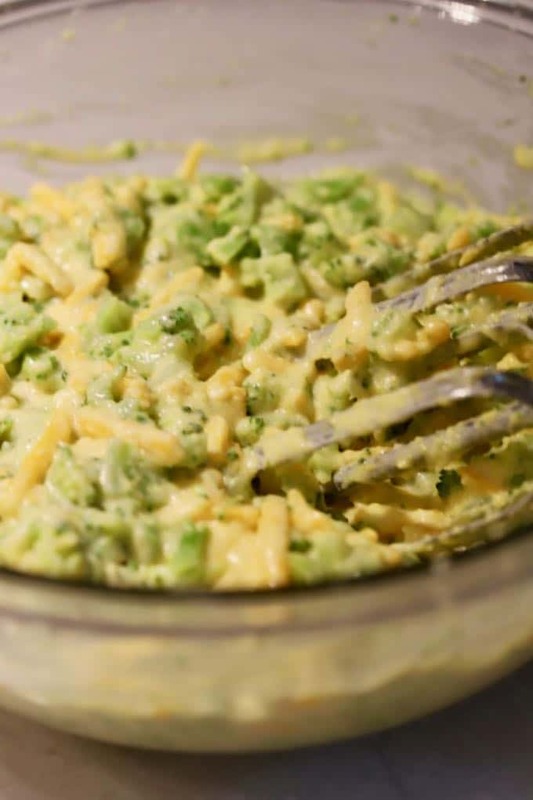 This is such a simple recipe, you will wonder why you haven’t tried it before. 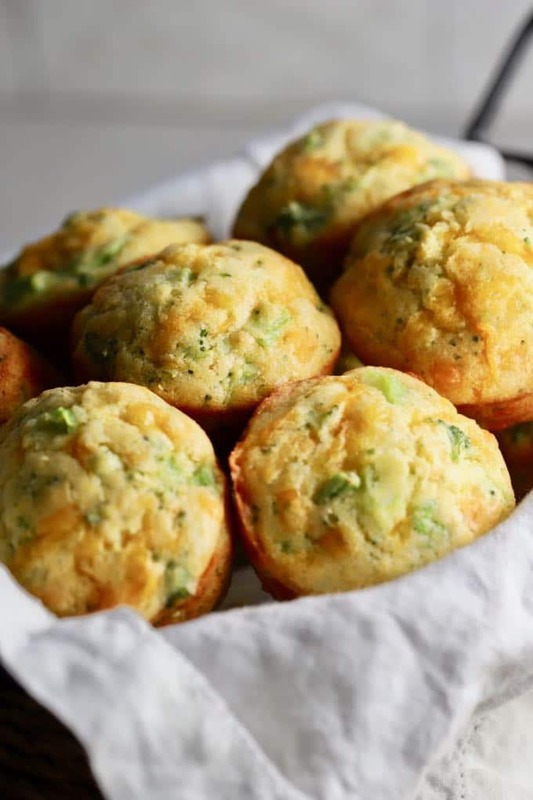 Broccoli Cheddar Cornbread Muffins combine three of my favorite foods: cheese, cornbread, and broccoli into one flavor-packed parcel. 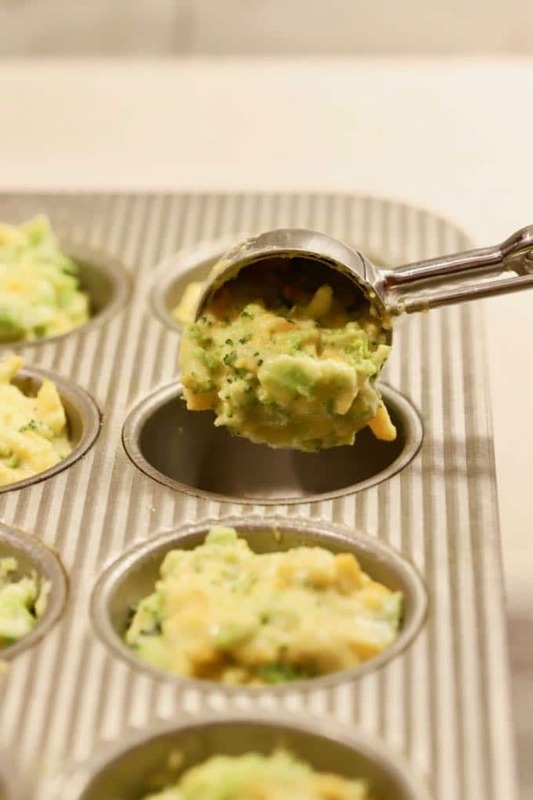 On the sixth day of Christmas, instead of “six geese-a-laying,” I’m bringing you this quick and easy recipe for Broccoli Cheddar Cornbread Muffins for my special 12 Days of Easy Christmas Recipes! Read on to find out how to make these yummy bites of deliciousness. 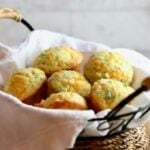 Broccoli Cheddar Cornbread Muffins are great paired with chili and soups, and really just about any main dish. I served them with quiche and a salad at a birthday luncheon for a friend recently and they met with rave reviews. These little jewels also reheat well and make a great afterschool snack. If you have picky eaters in your house, these delicious muffins are the perfect way to sneak more veggies in their diet. And, did I mention they are really quick and easy? It all starts with a box of cornbread mix and the end result is nothing short of spectacular! It only takes five ingredients and five minutes to whip up these yummy muffins and your oven will take care of the rest! So what are you waiting for? For even more recipes and menu ideas, follow me on Pinterest, Facebook, and Instagram. 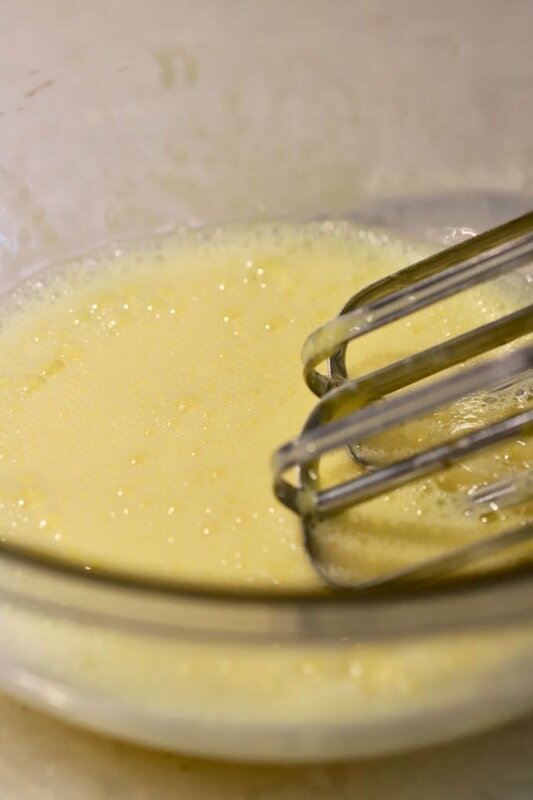 Add the eggs to a large bowl and beat with an electric mixer until the color changes to pale yellow. Add the butter and cheese and mix to combine. Add the muffin mix and broccoli and mix to combine. Spray a regular size muffin pan with non-stick cooking spray and use an ice cream scoop to evenly scoop the batter into the cups. Bake for 15 minutes or until the muffins are a light golden brown. Cool the muffins on a rack for about 5 minutes and remove from the pan. If you make this recipe, please rate it and leave a comment below. I love hearing from you! To be the first to receive notifications of new recipes by email enter your email address here or in the Subscribe box. 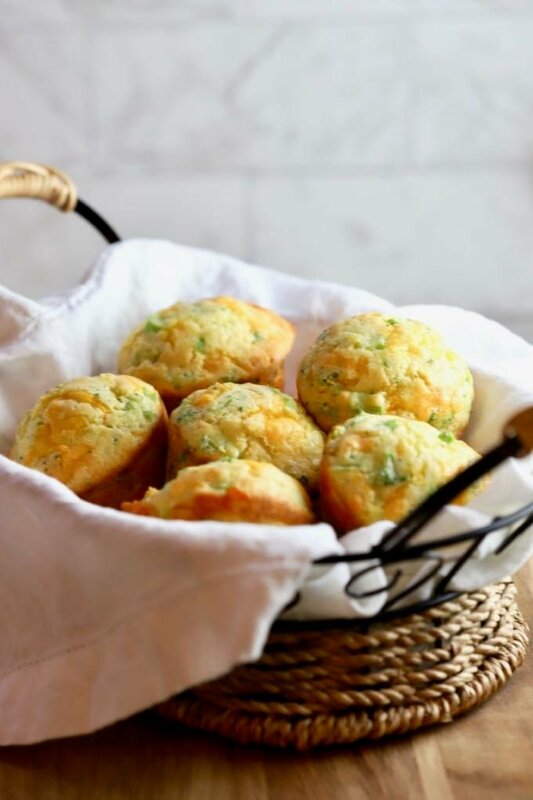 Broccoli Cheddar Cornbread Muffins combine three of my favorite foods: cheese, cornbread, and broccoli into one flavor-packed parcel. They are also great paired with chili and soups. Simple and delicious! A must try! Add the muffin mix and broccoli and stir to combine. Tried this recipe?Please leave a comment below and/or give this recipe a rating. On Instagram? Take a picture and tag @gritsandpinecones or #gritsandpinecones! Don't miss any recipes!Subscribe to Grits and Pinecones.